Kovvur is a town in West Godavari district of the Indian state of Andhra Pradesh. It is a municipality and the mandal headquarters of Kovvur mandal in Kovvur revenue division. 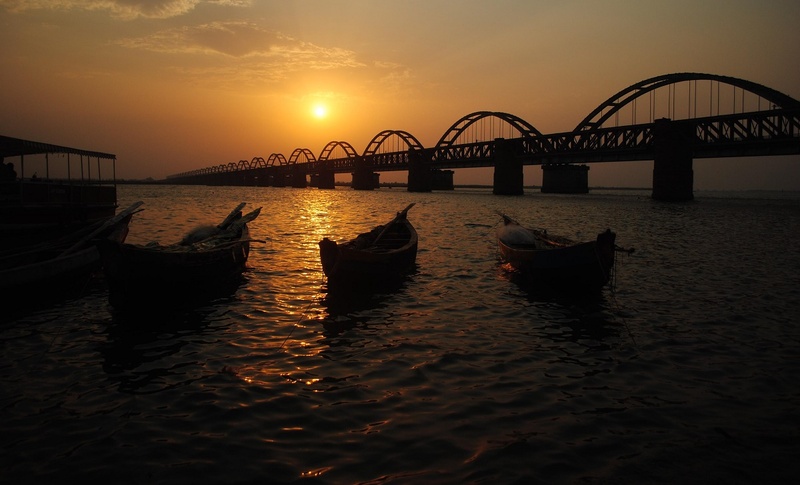 The transport is mainly supported by the presence of bridges across Godavari River such as, the Godavari Bridge, which is the second longest railroad bridge in Asia; and the Godavari Arch Bridge, commissioned on 14 March 1997 for Howrah–Chennai main line. While, the Old Godavari Bridge (The Havelock Bridge) was the earliest of all, built in 1897 and was decommissioned in 1997. The town has a total road length of 70.45 km (43.78 mi). The Andhra Pradesh State Road Transport Corporation operates bus services from Kovvur bus station The depot was reopened in 2015. Kovvur is one of the fourteen D–category stations in the Vijayawada railway division of South Central Railway zone. Kovvur will become a Potential Railway junction Between both Telugu States After Completion of Kovvur-Badrachalam road Railway line.